You can help Greyhound Friends for Life when you shop on-line! Greyhound Friends for Life is now signed up with AmazonSmile! Go to http://smile.amazon.com to start and choose GFFL. 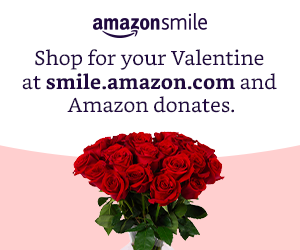 Amazon Smile will donate 0.5% of the price of eligible purchases to us. Such a deal! GFFL is registered with iGive, an organization that partners with various on-line retailers and donates a percentage of the money back to the designated nonprofit. By becoming a member of iGive, you can shop at over 600 merchants, including PETCO, Doctors Foster & Smith, Macys, Nordstroms, Target, and Barnes & Noble. Up to 26% of every purchase you make is donated to GFFL. Join now at www.iGive.com/GFFL!